Paul: this is the screenshot you asked for. Do note customizations: I use the ambiance theme and I use large font sizes. Thanks for the patch! It looks great on Macs. Thank you Mihai. 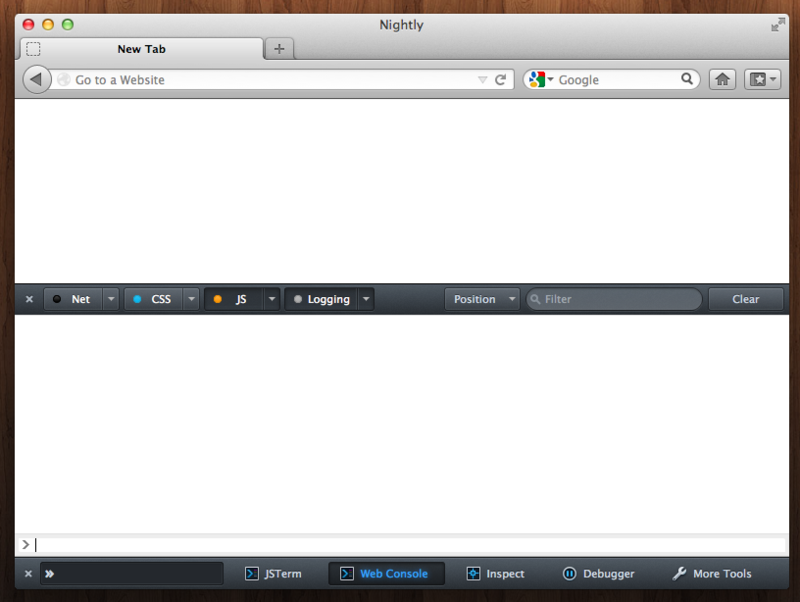 Can you please take another screenshot with the Global Toolbar + Web Console? Could someone take a screenshot of this patch on Windows? Mihai, do unchecked buttons look ok? > Could someone take a screenshot of this patch on Windows? > Mihai, do unchecked buttons look ok? They look very similar to the Win7 screenshot. Looked into the patch and tested it. Buttons look good now on Ubuntu. Otherwise, the patch looks great! Thanks Paul! any reason not to use the classList API here? should that be .devtools-toolbarbutton[type=menu-button] ? could add a space after white. 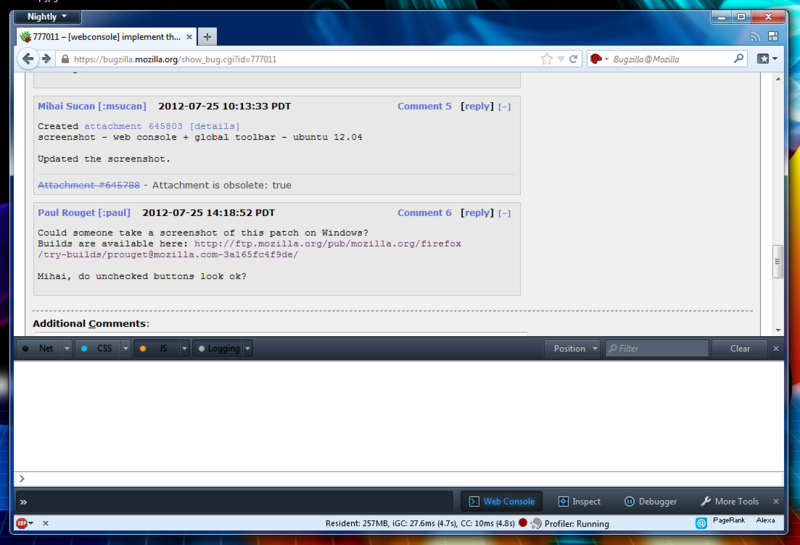 - There is a slow and noticeable transition effect on the menu buttons. I am not seeing this on any of the other devtools buttons. Or maybe it is less obvious? - It is hard to see the black dot icon on "Net"
It's not a transition. It's just that we go through 3 steps: unchecked, over, checked. You'll see the same think with the [style] button in the inspector. > - It is hard to see the black dot icon on "Net"
Any recommendation for the color? #FF0066? Not directly related to this patch. But I can fix it. It's green. Let's land that.